Walking the same routes day after day can get kind of boring. So whenever we have the opportunity, Rocco and I love to explore new places. Rocco gets to take in new sights and smells, and I get to enjoy the new scenery too. 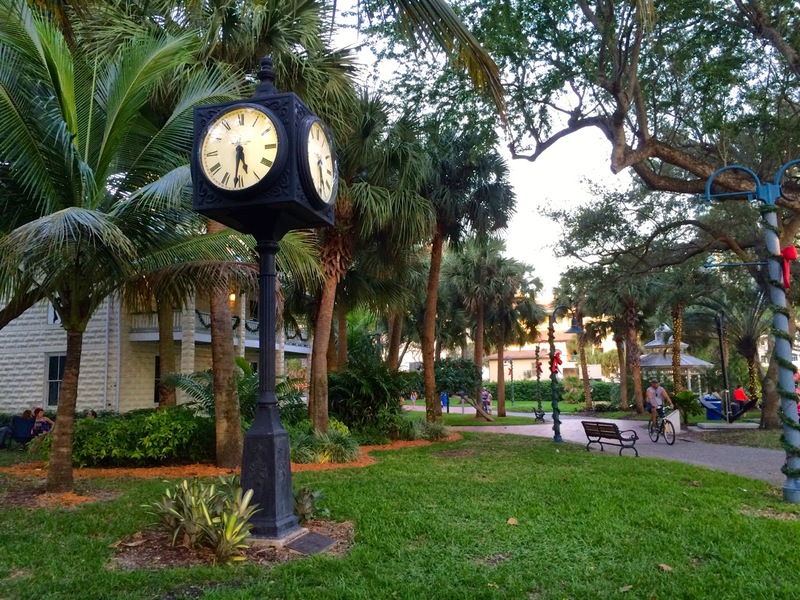 So during our recent trip to Fort Lauderdale, we had some fun walking along the Riverwalk area in the Old Fort Lauderdale Historic District. There were pretty park areas and a few restaurants that lined the waterway. We enjoyed watching the big boats, too! 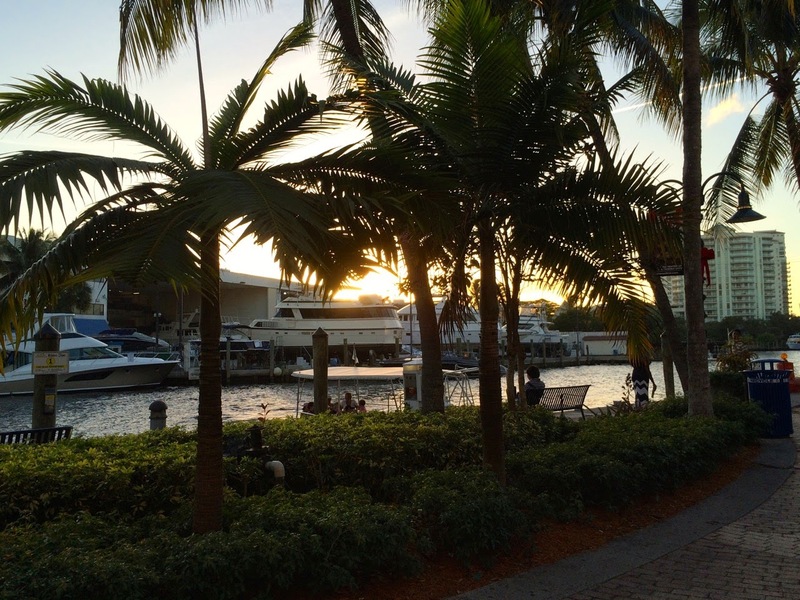 It was pretty walking along the Riverwalk at sunset, a great way to end another sunny Fort Lauderdale day. Doggie waste bags. If you're heading out on a long walk, don't forget to bring extra poop bags. On occasion you'll find poop bag dispensers in public places, but it's best to be prepared and bring extras. Water and a collapsible water bowl. Bring plenty of water so both you and your dog can stay hydrated, especially if it's warm outside. Treats. 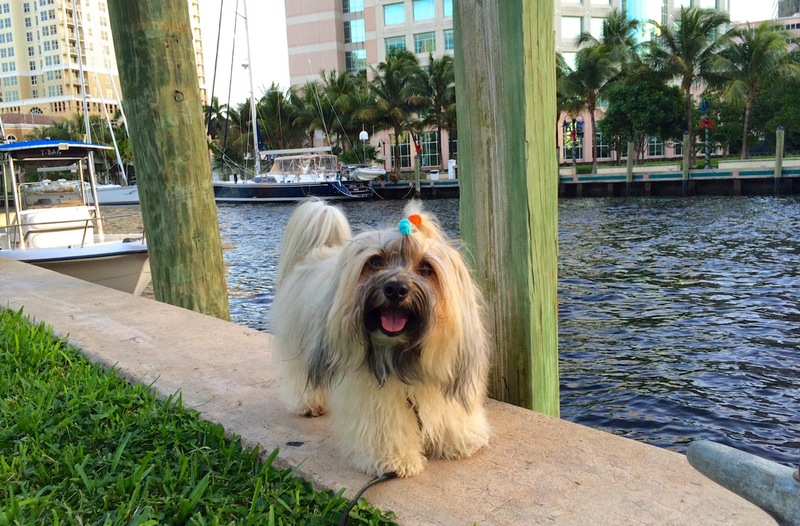 Long walks provide for a great training opportunity and extra treats can be used to reward good behavior. Practice healing, sit and stay until you give the release word that it's ok to proceed. This comes in super handy when waiting patiently at a crosswalk. I also play the "look at that game" with Rocco, asking him to look at things that I DON'T want him to react to ... and then I praise him and treat when he quickly and calmly looks back at me. What training games do you play when you're out walking your dog? Let us know in the comments below! Looks like a lovely place for a walk and we too love exploring new places. Have a fabulous Friday. We always have bags, but never carry treats. With more than one dog usually in hand, there is no time for handing out treats, so we have to learn to focus on Mom herself and the treat at the end of the walk. Looks like a nice and warm spot for a walk. We also love to walk the dogs and explore in new places! Great list of walking essentials as well. Looks like a fun place to explore. 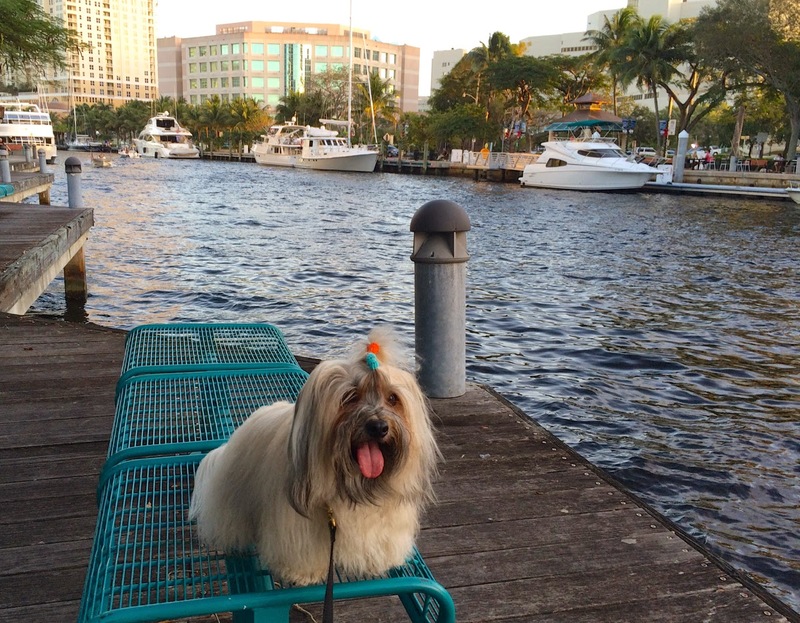 Rocco must have really loved walking along that waterway and watching all the boats and people! Mr. N "performs" for people on walks quite often. He dances and high fives and prays and gives puppy eyes. What a beautiful place to walk! Right now we're mostly working on heeling with Luke, and with the girls I work on "watch me". It's fun to train when walking, it makes it more interesting, especially if you're in one of the same old boring places!